An aunty in our neighborhood was trying to introduce a few people to our family who she claimed are part of a big business. After many times saying no to her, she one day landed at our home without an appointment. As a good host, we decided to give some time to these three men who were well dressed. Within a few minutes, we come to know that they are from Amway and they are here to sell the Amway products to us. They introduced many of their products to us and made many big claims about them. One of such products was Glister toothpaste which they claimed is 100% natural and don't have any chemicals in it unlike the other toothpastes in the market. As we are not much interested in them so we bought two products from them, one was Glister toothpaste and other was Calcium tablets (which we returned later). Due to these gentlemen, I came to know about the Glister toothpaste for the first time. First, we were surprised to see the high price of this toothpaste which was Rs 150 for 100g tube. This price was three to four times higher than the all toothpaste brands available in India. Still, we decided to give this product a try because of all the big claims made by the gentlemen. 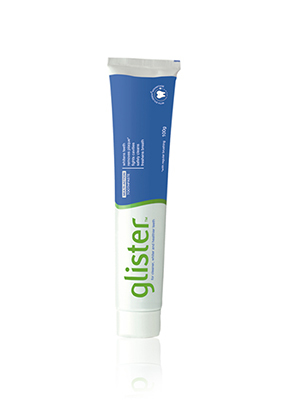 After some days of use of Glister toothpaste, I found that it is a normal toothpaste or even less effective than the other toothpastes. Slowly, most of members of family discontinued it for the other toothpaste brand. My personal experience was also not fine with it and I will rate it an average product which is highly priced. Second thing, I didn't like about Glister is use of most of the ingredients like fluoride, SLS, sweetener, flavor which we find in other toothpaste brands. Today, this product is mostly selling because of the chain business structure of Amway and most of its users are people who are either involved in the Amway business or people are encouraged by such people. We can only buy this product through the people working for Amway or online because it is not available at the common stores. When we look at the other toothpaste brands in the market, then Glister stands much behind other products and it is highly overpriced. Thirdly, I don't like and recommend toothpaste which contain fluoride because of the many side effects associated with the fluoride absorbed into the body and toothpastes containing fluoride are the one source of absorption of fluoride into our body. My Rating for this product is 5 out of 10 and I will not use it again.